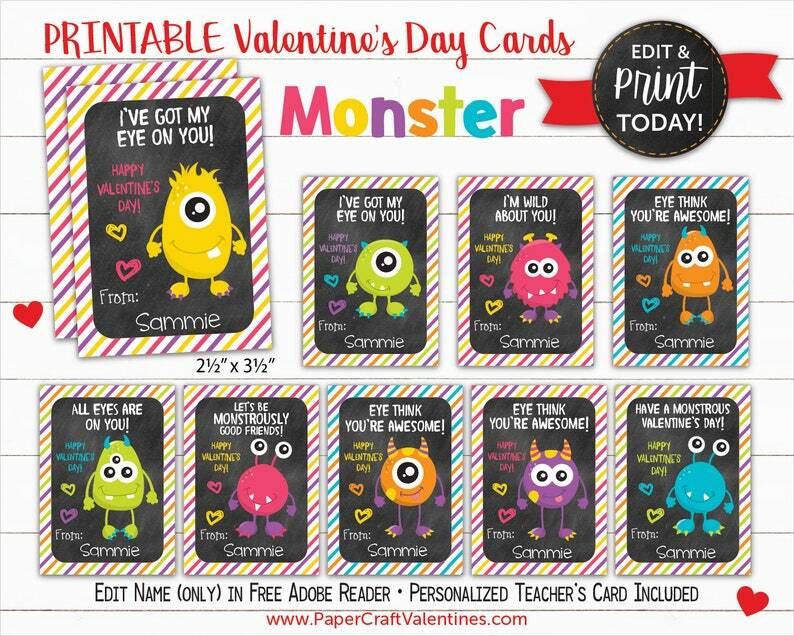 ♥ Printable Monster Chalkboard Valentines ♥ Instant Download! These were so adorable! My daughter loved taking them to her Valentine party! So cute, easy to download, & edit.